Transition to DevOps goes hand in hand with the redesign of IT roles and responsibilities. Certain skills and knowledge need to be present in every DevOps team. Answer your clients’ demand for DevOps skills. How to combine key DevOps ingredients to rethink and reset IT at your customers. 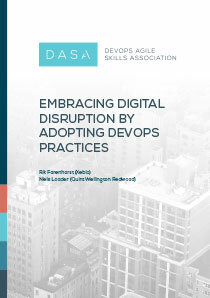 The DevOps Agile Skills Association (DASA) DevOps principles.